Video showing the highlights of the 2018 Muker Agricultural Show, Upper Swaledale in the Yorkshire Dales. The Moorcock Show is an Agricultural Show held west of Hawes in the Yorkshire Dales, the quintessential sheep show in the Dales. Held on the 2nd September 2018 this shows many of the best of the hardy breeds used in the Yorkshire Dales, such as the Swaledale, Herdwick, Rough Fell, Blue Faced Leicester and the Mule. Reeth Show is a traditional agricultural show held every year at the end of August in the village of Reeth in Swaledale in the Yorkshire Dales. This video shows the highlights of the days events. Report on the new Metal Sculpture at Town Foot in Hawes, of a Farmer and his animals. The new sculptures replace the much loved Wooden Sculptures that had started to rot away. The “Hawes in Bloom” team carried out the work erecting the sculpture. We have just created a 5 minute trailer on YouTube for the Hill Farmer in the Yorkshire Dales production. Please take a look, and of course you can purchase it from our new shop, (sorry UK residents only at the moment). 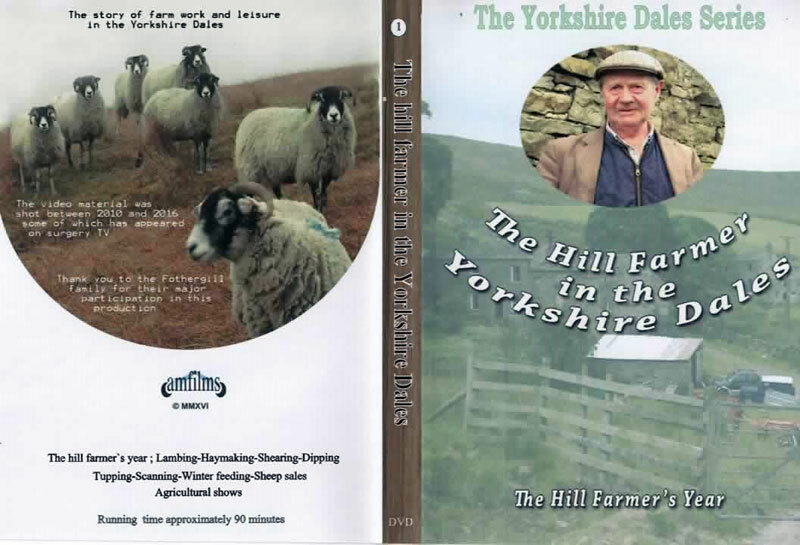 The Hill Farmers Year, following the typical Year of a Hill Farmer in Widdale, filmed over six years between 2010 and 2016. Lambing, Haymaking, Shearing, Dipping, Tupping, Scanning, Winter Feeding, Summer Sales and Local Agricultural Shows.